“You are my life -my past, present and future is here with you”. 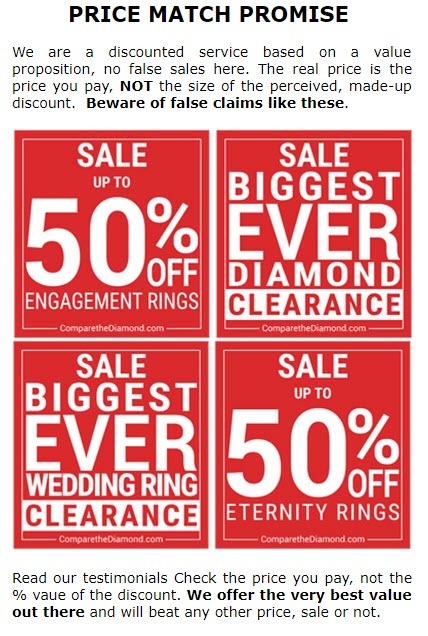 Trilogy Rings are three stone diamond rings. They are a popular choice for an engagement or anniversary ring, as the three stones traditionally represent the past, present and future of a relationship and denotes lasting commitment. The centre stone of the rings are usually the biggest ones and represents the present. What a beautiful idea for a ring! Trilogy Rings are also increasingly popular as right-hand rings, because of their elegance and beauty. They have become popular amongst the rich and famous as well: Madonna wears one with round diamonds totalling five carats, while Toni Braxton has an oval-shaped centre stone with heart-shaped side stones totalling 4. 5 carats. When choosing your ring think about the stones you are choosing. They can be made up of diamonds, gemstones or even both. 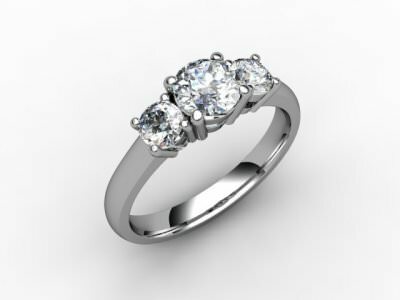 Here at ComparetheDiamond.com (formerly diamondgeezer.com) you can choose any stone, any metal, and any size. Even design your own for the one you love, make it extra special!